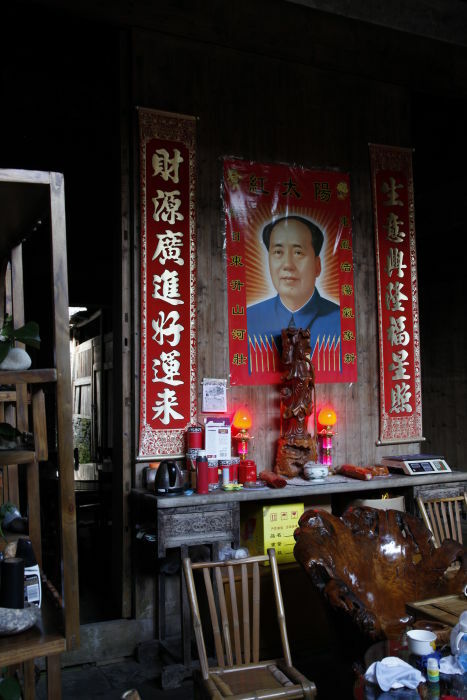 When I’m invited into farmers’ homes in China, I sometimes find myself confronted by Chairman Mao. I don’t know if he’s worshipped or idolised, but in any case, the offerings and lights are there, beneath his portrait that presides over the main living room. A divine Mao. 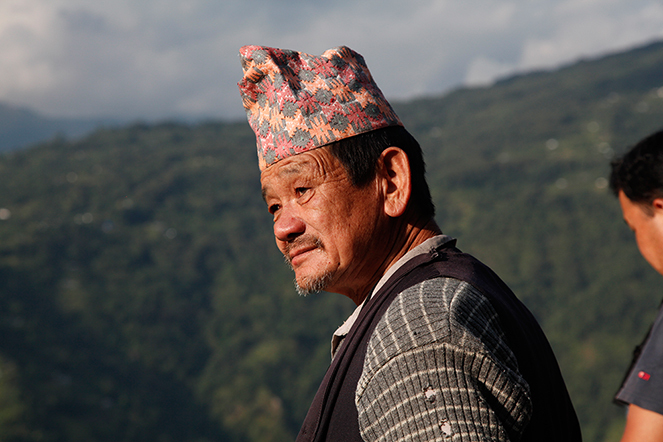 In his village of Soyam, Yaad Bahadur Limbu is known as the “tea father”. 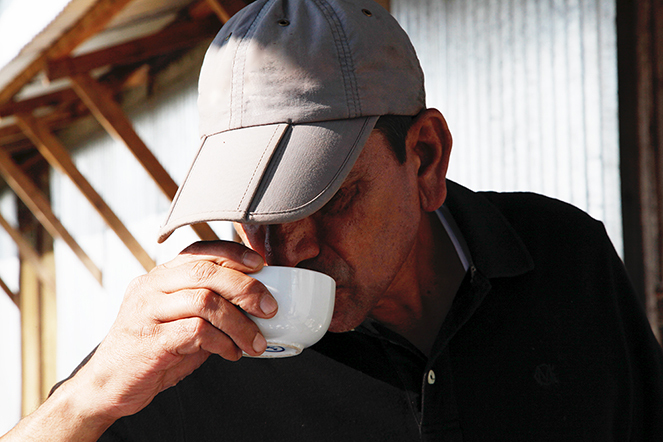 He was the first to plant tea in the village, and today, tea is its main source of income. Everyone is involved. To reach Soyam, you must cross a suspension bridge and then climb for several hours. You pass terraced rice paddies and fields of millet, and cross farmyards. When Soyam’s villagers harvest the tea leaves, they are transported on horseback. This requires four or five horses. They take the same path as the one that had me huffing and puffing, and they cross the same suspension bridge. Each horse wears a pack saddle allowing it to carry a load of 100 kilos. The caravan takes five hours to reach the factory, and must return to the village the same evening. It is a long expedition. This week, the Margaret’s Hope garden celebrates its 150th anniversary, and I am invited to the event. It’s an opportunity for me to remind you that tea was only introduced to India very late, in the mid-19th century. 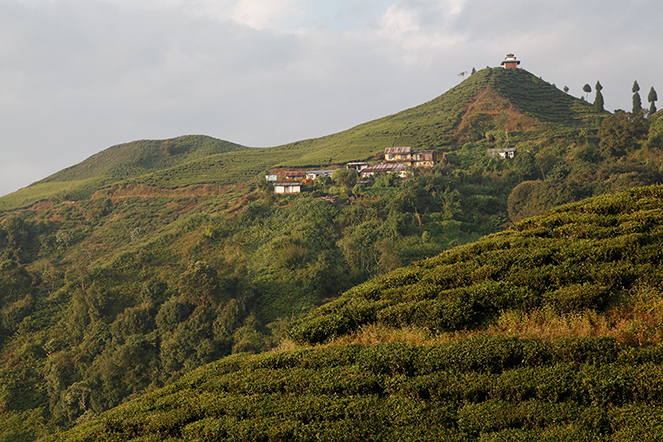 It was the British who set up the tea plantations in the country, after stealing the seeds of tea plants from China. Margaret’s Hope makes teas that are sometimes exceptional, such as Margaret’s Hope DJ40 Moonlight, and Margaret’s Hope DJ219 Pure Av2. They are two fine teas from 2014 that I hope will be back next year. Nowadays, the main problem facing Nepalese tea producers is a labour shortage. A significant portion of the population has left to find work in the Gulf countries or in Malaysia. 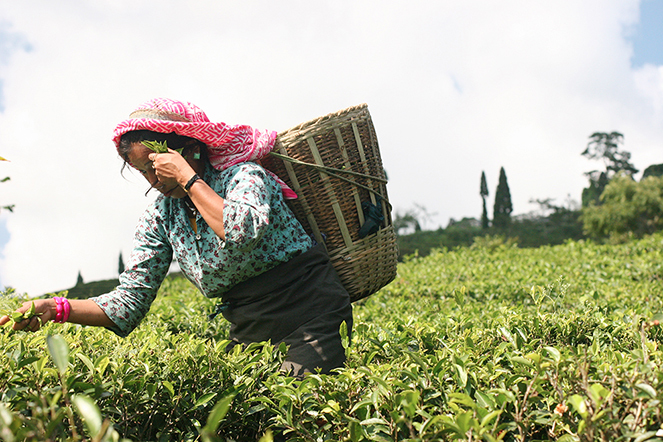 This means the tea is only plucked once a fortnight on some mountains, which compromises its quality. 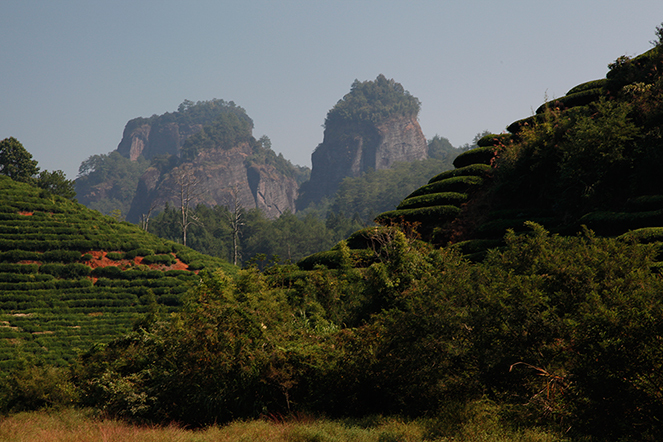 Luckily, the plantations that produce the best teas are less affected. This problem does not only concern tea. The whole of the country’s manufacturing and farming sectors have been hit too. I have just returned from Nepal, where I had the opportunity to spend several days with my friend Andrew Gardner, who came to join me in Ilam valley. He had planned a four-hour walk for me, to reach a village of small producers. 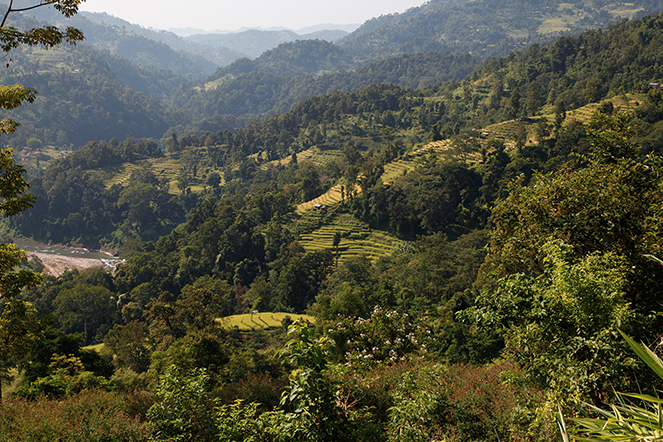 Andrew has worked on several plantations, but you could say he was the first to make very good teas in Nepal. We owe the renaissance of tea in the country to him. He started by working at Jun Chiyabari, and he is now applying his talents at Guranse. He’s passionate about what he does. Nepal produces some very fine teas, but so few people know about them! You have to travel for hours, and sometimes walk, to reach the mountains where the tea is grown. On the way I admire the scenery, with the paddy fields carved into terraces. The farmers work using the old methods, with the help of a buffalo. Life passes slowly. You listen to the birds sing. They announce the harvest time. Last week I wrote about “rock teas”, because I had just returned from that region of China. 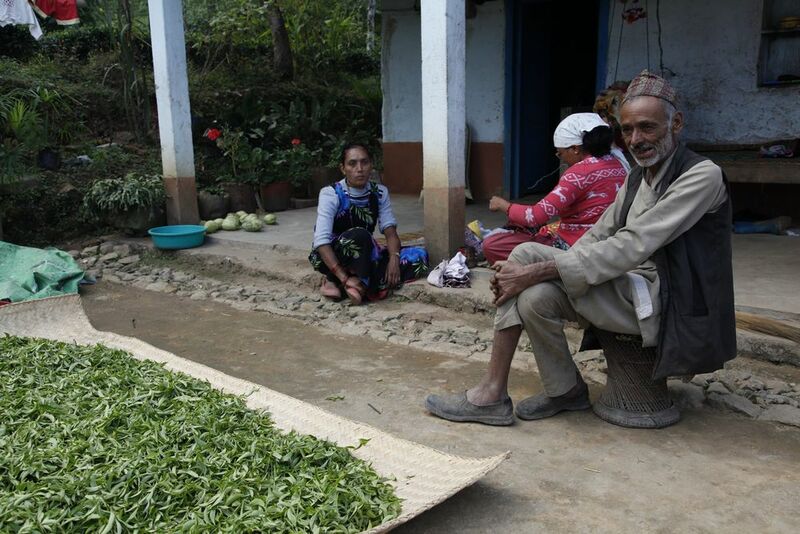 When you ask local farmers where the name comes from, some talk about the fact that the tea must be rocked at a particular stage during the processing. But others draw an analogy between the tea’s smooth flavour, its minerality and strength, and the amazing rocks around which the camellias grow. In China there is a very famous group of teas called “rock teas”. 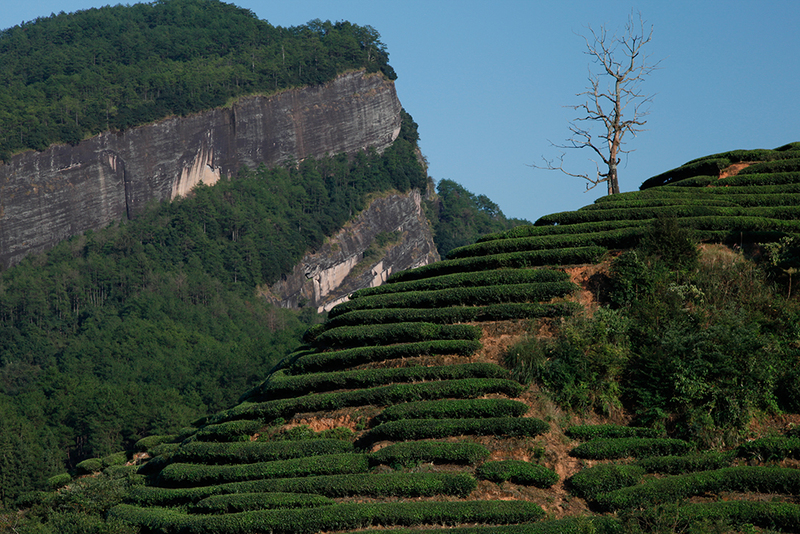 These semi-oxidised teas come from Wu Yi Shan, a mountain range in the north of Fujian province. The best known is Da Hong Pao. You have to taste it at least once in your life to realise what an exceptional tea this is. It has a rare strength and length in the mouth, yet remains subtle. 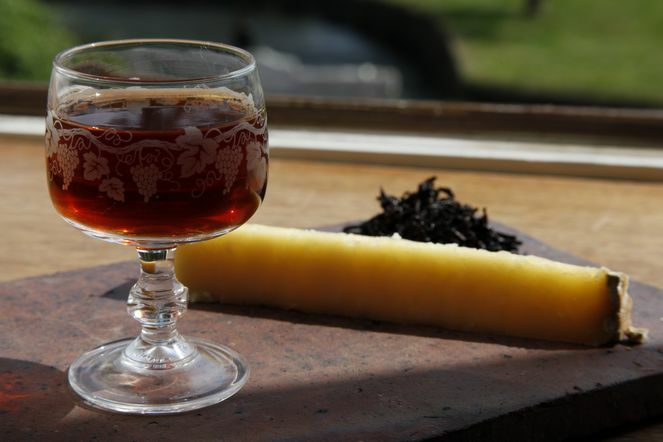 It is fruity, toasted, woody and sweet at the same time.